MedCity INVEST has been at the forefront of discussing the big ideas in healthcare for years. No wonder more than 400 attended in 2016. Next year is no different. 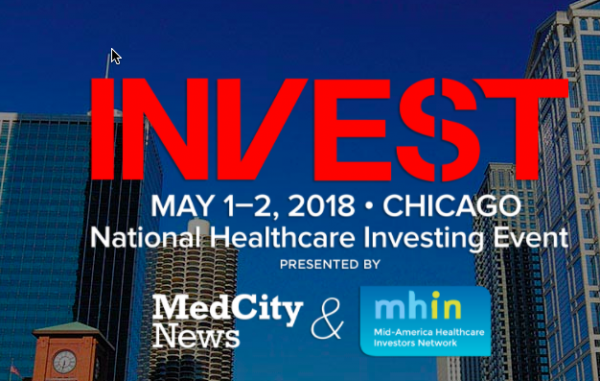 As the final agenda for the conference on May 1-2 in Chicago shows, we will be discussing these following topics of deep relevance to healthcare transformation: going beyond the hype in artificial intelligence to what is practical; exploring how startups may avoid death by a thousand pilots and how reimbursement is top of mind for both investors and hospital buyers. We have also announced the Pitch Perfect contest, and we are inviting startups across all healthcare sectors — medical devices, diagnostics, biopharma, health IT and health services — to apply for a chance to be selected. Selected startups will present live to judges at the conference at the Four Seasons hotel during the conference. We are adding 2018 speakers as we speak and I hope to see you in the Windy City. Robert Downey Jr is killing blockbusters – or is it the other way around?